Picota Peru is a territory diocese of Moyobamba. The territorial diocese of Picota is currently served by Padre Leopoldo and Padre Paco. 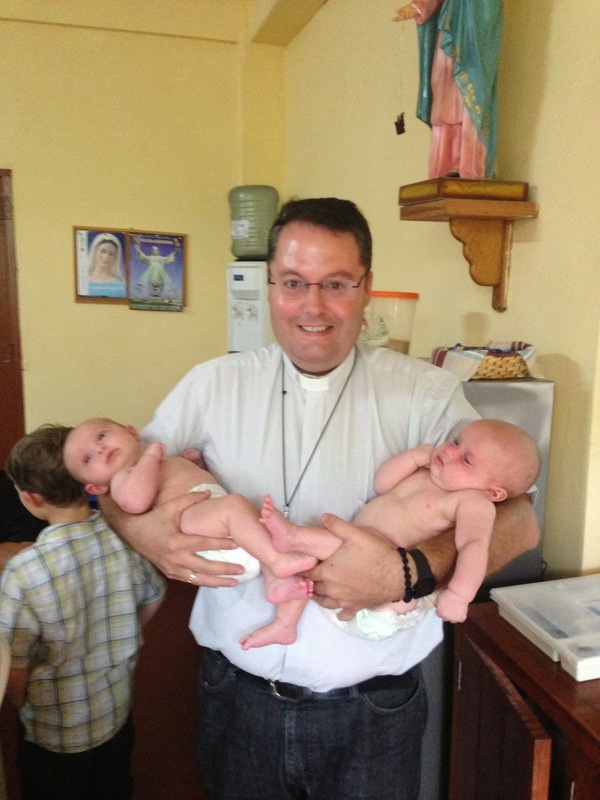 Both are missionary priests from Cordoba Spain. This is simply amazing to me that they cover this whole area by themselves. They are such amazing priests. The city of Picota has a population of roughly 8,000 people. Can you imagine having one parish in a town that size? The things that these priests have done in this city alone is a miracle. The picture above was taken during the weekly Thursday Holy Hour. Yes the parish is packed and yes everyone is on their knees. The church is filled every weekend and throughout the week for weekly mass. It is so amazing to hear the whole parish singing. Every person sings which brings tears to my eyes. The Sisters have also started a children's choir. This choir sings so beautifully. It is so amazing to see five rows of children praising Jesus every night for mass! What is even more amazing is that these priests serve over 100 other pueblos. Yes you heard that right, these priests are also serving more areas as week. It is common to see one priest go out the door heading south while the other is heading north. We have been blessed to go with the priests to one of these pueblos. It was an hour drive on a very bumpy road. Praise the Lord that Taylor knows how to drive stick shift. Some of the pueblos the priests are only able to go to once or twice a year due to the distance. Other pueblos are visited monthly. Padre Leopoldo and Padre Paco have been very welcoming to us. They are excited that we are able to help them with this enormous task. The task before them is great but that doesn't bother them. They know they are building the kingdom and that is all that they need. The love the people have for the priests is wonderful. They are so happy to have them hear bringing them Jesus!!! !